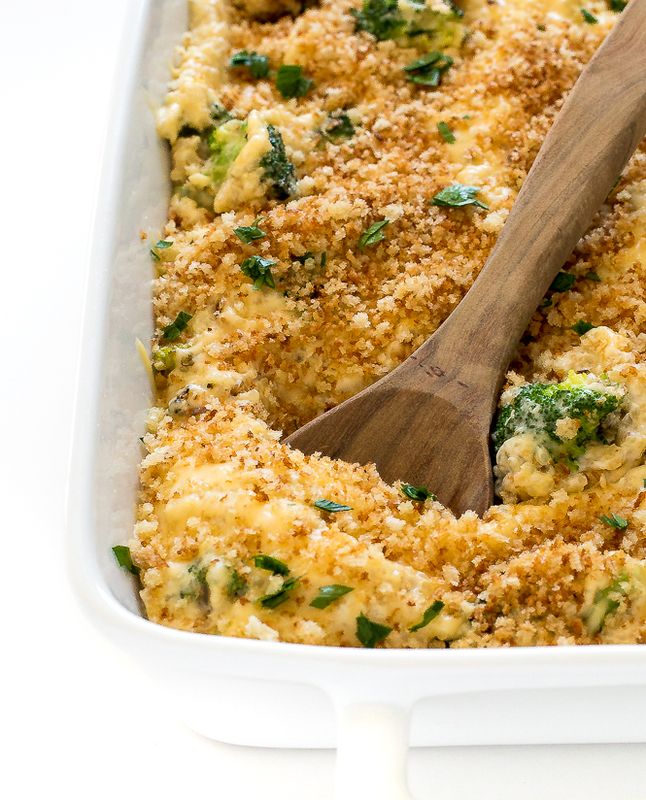 Cheesy Broccoli Quinoa Bake. 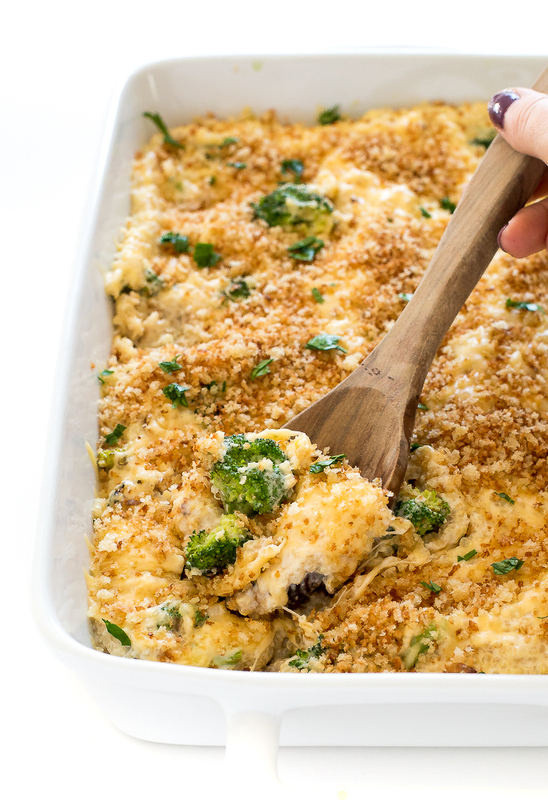 A healthier version of the Broccoli Rice Casserole we all love! I took one of my favorite casseroles and made it healthier! 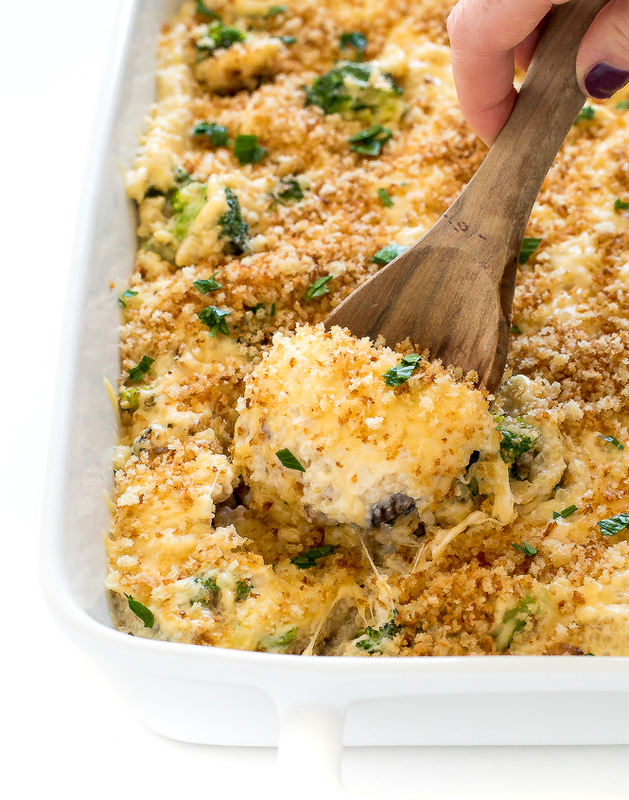 This Cheesy Broccoli Quinoa Bake casserole is still rich and satisfying as the original. I make an easy homemade cheese sauce using milk, stock, cheddar cheese, flour and a little butter. I subsistuted quinoa in place of the rice and skipped canned soup. For an added crunch I top the casserole with toasted panko breadcrumbs. It makes all the difference! White the quinoa is cooking I saute the broccoli and make the cheese sauce. When everything is done I toss it all together then layer into a baking dish. 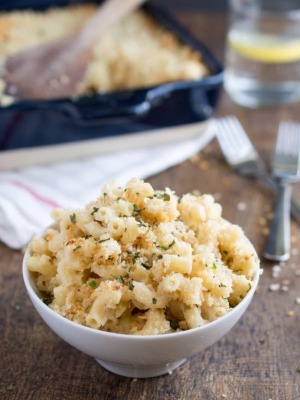 I top with the toasted panko breadcrumbs and bake until warmed through and cheesy. Serve immediately with fresh parsley for serving! Preheat oven to 350 degrees. Grease a 9×13 baking dish with nonstick spray. Meanwhile heat 1 tablespoon oil in a large skillet. Add panko and cook stirring constantly until golden brown. Remove from the pan and set aside. In the same pan heat the remaining tablespoon of oil. Add the broccoli and cook until tender, set aside. To make the cheese sauce start by melting butter in a medium saucepan. Add in flour and whisk constantly for about 1 minute. Slowly add in milk and continue to whisk until thickened slightly, 3-4 minutes. Take off of the heat and stir in 1 cup of cheese, sour cream, broccoli and cooked quinoa. Transfer mixture to baking dish and top with the remaining 1/2 cup of cheese. Cook until cheese has melted, a couple of minutes. 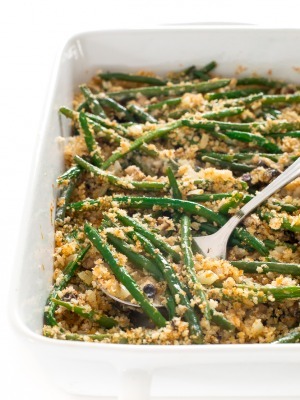 Top the casserole with the toasted breadcrumbs and serve immediately.